Did you know that we made 26 new updates to Ecwid in February? I mean — it IS a leap year, but still. Here’s the rundown of what we were working on last month. We roll out new Ecwid updates on a daily basis. These updates improve Ecwid’s functionality, fix bugs and keep the system up to date with new security standards. Some updates are big, like new features — you’ll see us announcing them on the blog, in email newsletters and on the community forums. Some are small improvements, which are more likely to be under your radar. In this Product Digest blog series, we will regularly write about those small but important updates, so that you know Ecwid better. Then you can use your knowledge to take full advantage of Ecwid and sell more. Let’s see what was interesting in February. The new Keep me logged in option allows you to be always logged in your store’s Control Panel at my.ecwid.com in your browser. With this option enabled, whenever you open my.ecwid.com, you are already logged in and can manage your store with minimal friction. Find the checkbox on your Control Panel to enable this option. If a customer has already placed an order in your Ecwid store, this new feature will recognize them the next time they return. Your store will now pre-fill the customer shipping address, so they won’t need to enter it a second time. Ecwid will save and pre-fill your customer’s email, too. If a customer is logged in to your store, they will stay logged in until they intentionally click Log out. So, your customers can log in to your store then return a few weeks or even months later and remain logged in. 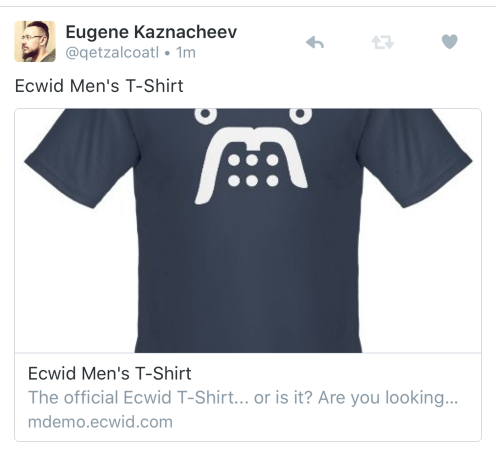 Ecwid will remember their email and address, so they can checkout even faster, in literally just a few clicks. Important to note: As always, we care very much about the security of our merchants and their customers. Ecwid is PCI DSS Level 1 certified, which is the top security standard for e-commerce solutions. You can rest assured, we store your customers’ data safely, and this improvement won’t harm you or your customers in any way. Products shared via Twitter now display a rich preview card with a photo, title and short description. Having a Twitter card makes will attract more interaction and clicks on your tweets, generating more traffic to your store. 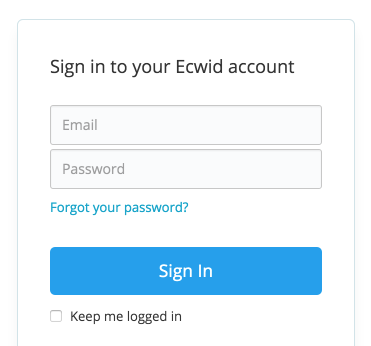 If you’re a new Ecwid user who registered recently, the feature is enabled for you automatically — no actions required. Existing merchants can enable it by going to their Store Control Panel, and visiting the What’s New page. To share a product card, open any product in your Control Panel and click the Twitter icon. View product options and wholesale prices on the Product Details screen. 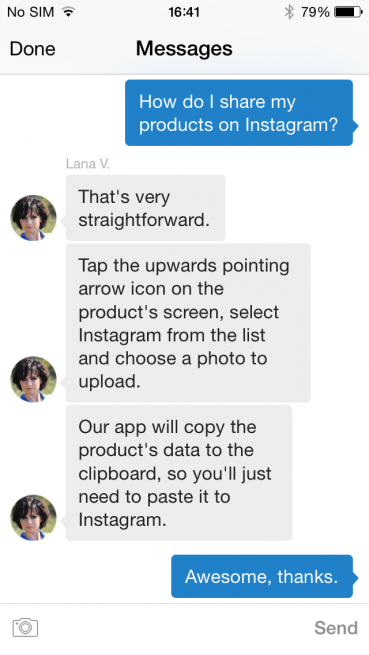 You can now chat live with the Ecwid support team right in the app. You must be on the Business or Unlimited plan to use this new mobile support feature. We improved the order list design to include additional product details so you can manage orders more quickly. Ecwid now automatically hides out-of-stock product variations in the storefront, if the variation is based on a single product option. To set up this feature, enable the Hide out of stock products option” in your store settings. For example, you have a product with the Size product option, with S, M and L values, which are set as variations. If Size M is sold out, customers will see a drop-down with Size S and L options only. 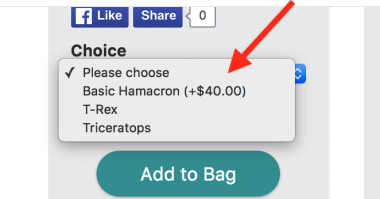 You can now hide price markups displayed in the drop-down product options. Find out how. Ecwid integrates with popular WordPress plugins Yoast SEO and Google XML Sitemaps for search engine optimization. These plugins allow you to generate a sitemap, containing links to your products and categories. With recent improvements, the sitemaps generated by Yoast SEO will now also automatically include links to product images from your store. This will help Google better index your product images to list in search results. We improved the look of the Related products and Compare price sections in the storefront. To enable this new look, make sure to select the New CSS Buttons option by navigating to the What’s New page in your control panel. If you don’t see that option there, that means you already have the new buttons enabled. We’ve made some important updates to the Ecwid API for the developers who create apps for the Ecwid App Market—so warning, tech-speak ahead. We have significantly optimized and improved the way Ecwid works with store orders. Orders are still kept safe and secure with regular backups, but now most of the internal order operation is 1.25x — 2x faster, depending on a store’s sales volume. The Sales page in your Control Panel will be much faster, especially if you make a lot of sales. 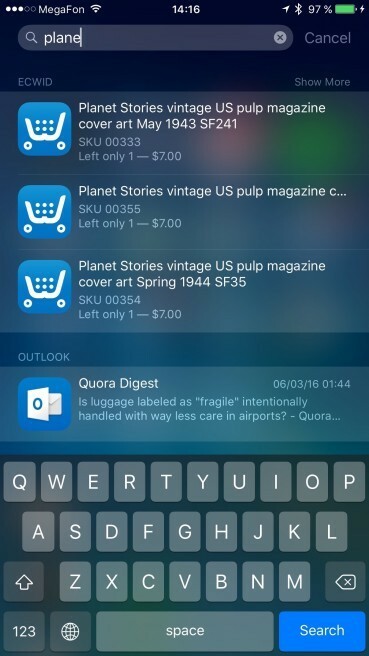 The Ecwid mobile app will also sync faster with the Store Control Panel in your browser. Thanks to our contributors to Ecwid translations, these languages were improved in February: Latvian, Lithuanian, Ukrainian, Dutch, Slovak, Vietnamese, Polish, Italian, Norwegian, Swedish, Spanish, Taiwanese, Czech, Hebrew. Noticed something that we changed and forgot to announce? Want to find out about some specific features of upcoming updates? Have feedback to share? Comment under this article and our team will get in touch! Thanks.